For sparkle, streak-free shine and the fresh scent of lavender almost anywhere in your home. Combine Windex® streak-free shine and the fresh scent of lavender to lighten and brighten every room of the house. With Windex® Multi-Surface Cleaner Lavender, it’s amazing how many surfaces one product can make sparkle! Step 1: Rotate nozzle to ON position. Step 3: Wipe with a dry paper towel or lint-free cloth. Keep out of reach of children and pets.Do not use or mix with other household cleaners. Does this product contain a disinfectant? 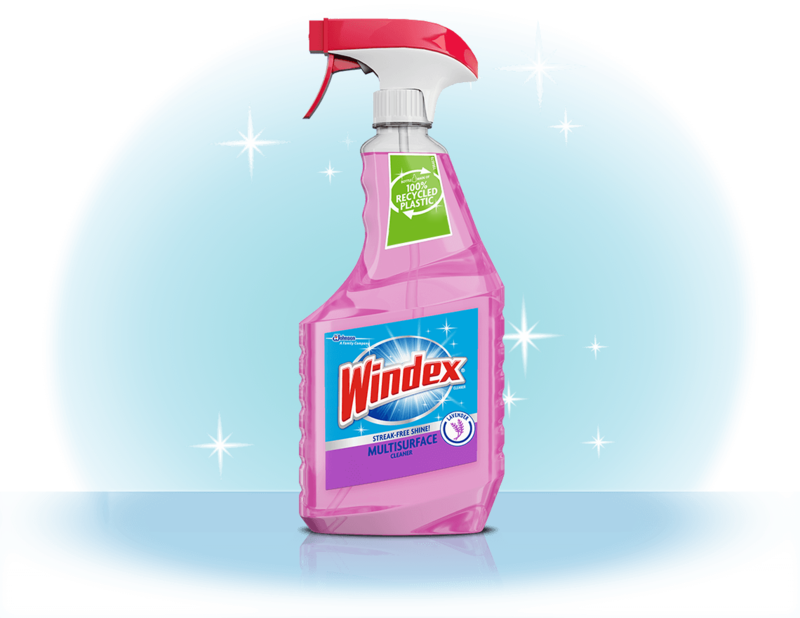 Windex® Multi-Surface Cleaner Lavender removes dust and smudges but does not contain disinfecting ingredients. Does this product contain ammonia? No, Windex® Multi-Surface Cleaner Lavender is ammonia-free.